Basler Fasnacht is annual event here in Basel. 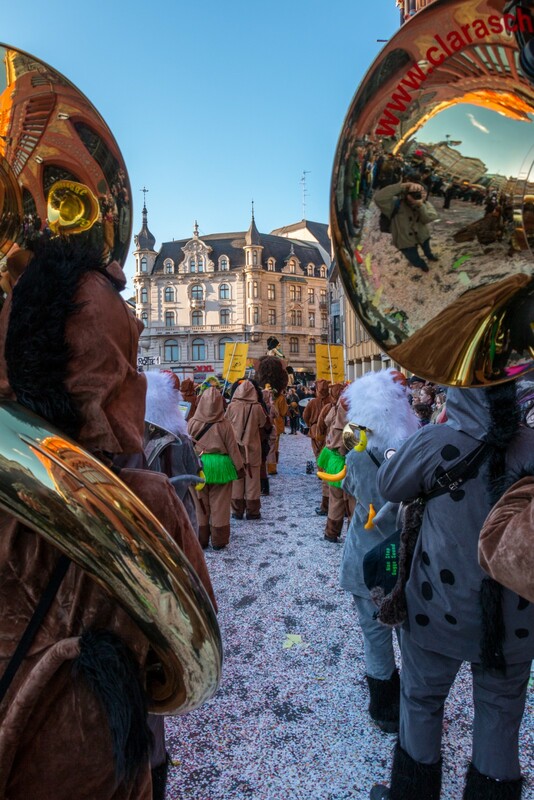 It is the biggest carnival in Switzerland and starts on Monday after Ash Wednesday – this year was from 23rd February to 26th February 2015. 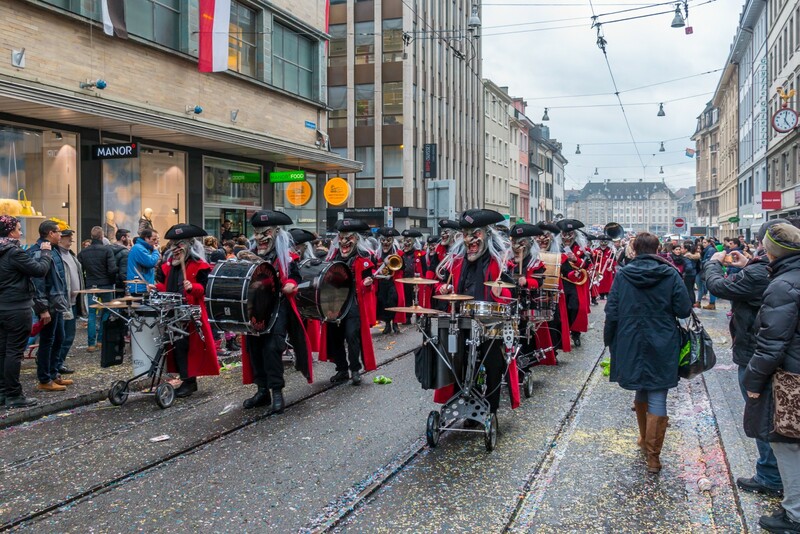 Interesting and funny fact is, this carnival starts at exactly 4:00 in the morning with the fourth chime of St. Martin’s church (the oldest church in Basel). This is called Morgestraich. At this time, all lights are turned off and cliques with lanterns start to march around old town. Cliques are marching groups of people, who are playing on piccolos and Basler drums. You will meet this marching cliques in the city any time in next exactly 72 hours. This morning Morgestraich is fascinating. I was expecting much less people than I met there in the middle of the night. Whole city center is closed for all types of transportation. There are special time tables and routes for public transport in the city and also special trains from all around Switzerland and Germany allowing people easily come to this amazing event. I walked from home to Marktplatz with a lot of other people and a really a LOT of people were already there at 3:45. I never saw so many people there even during day. Morgestraich began exactly on time with cliques all around many places. After about ¾ of an hour the parade split to bigger or smaller groups and spectators could move around to observe them from various locations. Interesting is also to walk behind a clique. This performance was so amazing, that I stayed there till 7:30 and went home just because I felt cold. Next time, I must wear the warmest clothes, because you are standing still or moving slowly most of the time. Darkness in the city center is something really rare and exciting. The atmosphere from the light only from lanterns in cliques is magnificent. Almost all restaurants and shops collaborate and turn off/reduce lights or seal windows with black sheet. I don’t understand, why many people were taking photos with flash or making video with light – this must spoil the mood and main point of darkness is gone. There are a lot of other opportunities to make pictures/videos of cliques during the daylight. On the lanterns are words and slogans related to Basel, Switzerland, Europe or world situation and events written in Baseldytsch, so I could only guess, what is written there, but pictures were often sufficient to get the point. I went the carnival again on Monday afternoon to watch Cortège. 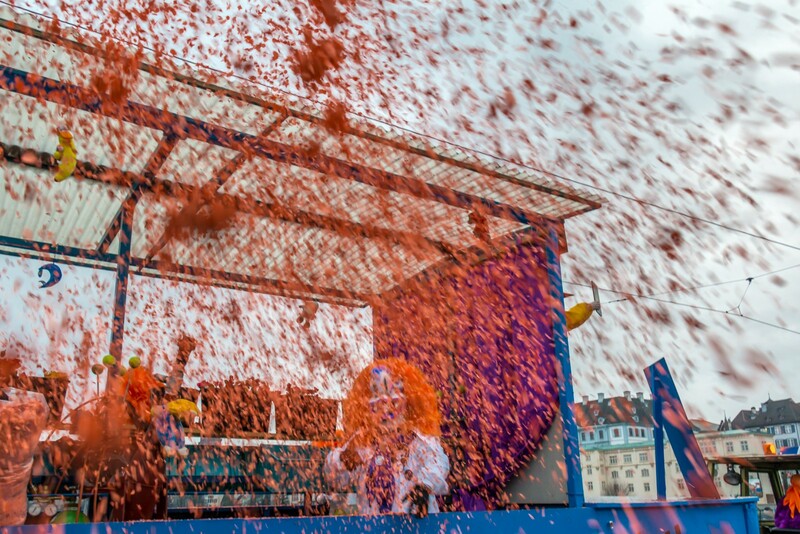 Except expected cliques with piccolos and Basler drums, there were big trailers pulled by tractors and Waggis are throwing mainly oranges into the crowds. Sometimes they are throwing some sweets, stuffed animals or different food like bananas, eggs, onions or leeks. You can see it on pictures and videos. These throwing are followed with throwing confetti. Confetti were supposed to be invented here in Basel and you will find literally tons of them on the streets like snow banks. There were also bigger bands who were playing local Guggenmusik. There group were not attending morning Morgestraich and they walk around the city and play. Sometimes they stop on the side, stand in U shape with the conductor in the front and play a few songs. You can hear them in my video (link is in the end of this post). On Monday evening and during Thursday, you can go on Münsterplatz where is the biggest open-air art exhibition in the world. All the big lanterns are displayed there and believe me, it’s the only way, how to see all of them. There are so many lanterns and it’s impossible to see them all on the streets. Tuesday afternoon is aimed for children parade, they are walking through streets like the adults. Some of them are wearing big masks, some of them only lighter – it usually depends on the age of those children. But there were not only children, you could meet there a lot of adult people too, well at least they looked older, it’s impossible to guess age for people in big masks. During whole event, I was sometimes surprised, who were under the masks – old people are not exceptions, my estimation was several time over 80 years young. In this case, I can’t use “old” term. On Tuesday evening were concerts on several locations and big street party around the city till late night hours. Music was of course Guggenmusik and personally I quite liked it. Some people we singing, so I assume they were playing famous songs. Several times I felt I heard well-known melody, but I might have just false impression. Wednesday afternoon was similar like Monday, but it worth for going there again, because you will see different masks, different people and hear “different” music. Each year, carnival takes exactly 72 hours non-stop and ends again exactly on Thursday at 4:00 in the morning. I took a lot of photos, you can find selection of the most interesting ones in my photo gallery. 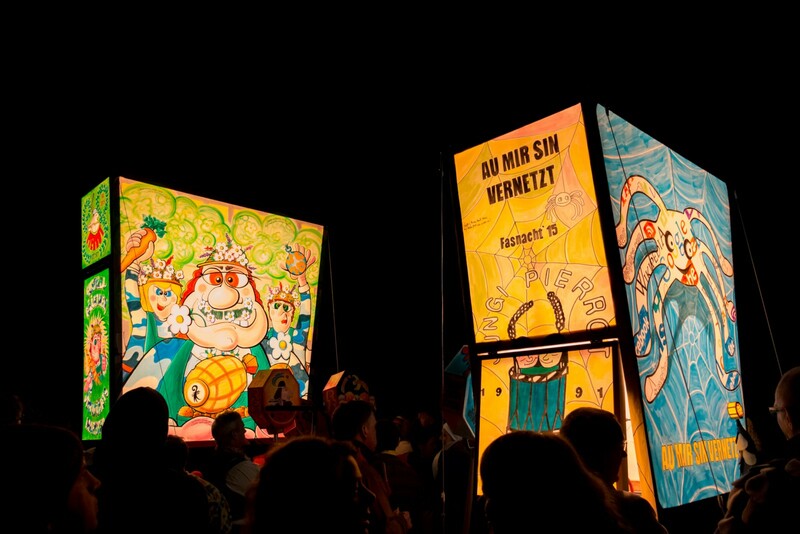 I also record some videos during Fasnacht and I cut them to two version. Full version has 26 minutes and short version a little bit less than 5 minutes. Full version contains all scenes from short version. If you have time and will, pick the full version. I don’t know, where I will be next year, but I hope, I will be able to come here and attend this carnival again. For me, it was one of the best events I ever saw. This year, I bought only copper carnival badge, because I didn’t know, what I should expect. Next time, I will buy at least silver or maybe the gold one. This carnival worth for support! You can read more about carnival on pages I linked in this blog post and also on Wikipedia.